Sandy Polak completed his apprenticeship with Mather and Platt in 1975 and was subsequently awarded a First Class Honours Degree from Cambridge University in 1978. He then spent 3 years as a Development Engineer and Design Analyst on diesel engines. He has worked for Neale Consulting Engineers since 1982 solving complex problems worldwide, particularly in marine, power and automotive industries. Sandy is also the named inventor of 4 patents related to mechanical devices and systems. He has a particular interest in wind energy. He is a co-author of the book Engineering Measurements, Methods and Intrinsic Errors, published in 1999. Sandy has acted extensively as an expert witness. David Harrison was awarded a First Class Honours degree in engineering and subsequently completed a PhD at Cambridge in 1978 “corrugation of railway rails”. 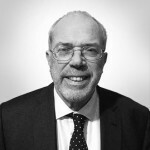 For nearly 20 years he was senior mechanical engineer and consultant to BP Research at Sunbury developing improvements to valve systems, acoustic emission valve leak detection and erosion resistant valve coatings. 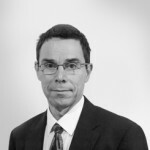 David has a number of patents and has published 18 papers internationally relating to mechanical integrity particularly concerned with the offshore oil and gas industry. Most recently as a senior consultant to Neale Consultant Engineers, he has investigated tribological component and system failures. David is presently involved as an expert witness and has lectured on the Neale Consulting Engineers Tribology of Machines course. Roger Allen completed his engineering apprenticeship with General Electric Co. and spent the next 10 years involved with turbine design. A further 15 years was spent as mechanical project engineer involved with rotating machinery design and project supervision for major international power & process contractors. This involved both vibration analysis and tribological studies of high speed machinery. Until 1997, Roger worked for a division of Thames Water involved in the failure analysis and subsequent re-design of mechanical components and systems. 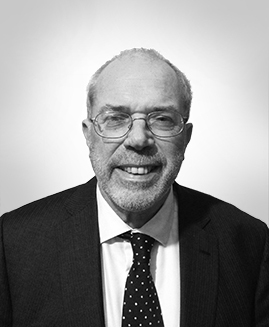 Roger has undertaken work for Neale Consulting Engineers and as an expert witness investigating failures in the power and process industries.